Sometime in 2006, I stumbled across the memorial page of a young woman on Facebook, which had just opened up to the general public. As a psychologist interested in the digital age, I decided to investigate further, and now, over a decade later, I’m still researching, speaking, and writing about our online lives and digital afterlives. 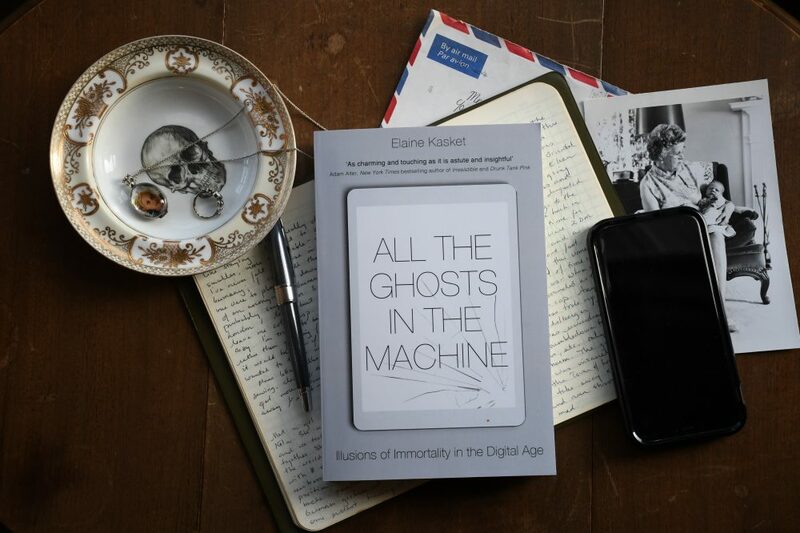 All the Ghosts in the Machine: Illusions of Immortality in the Digital Age is published in English worldwide by Little, Brown UK – publication dates in other countries and other languages to be announced in due course. You can get the book in various audiobook, e-reader and physical formats, dependent on your territory – search for it on Amazon, Audible and Kobo where you live. I’m do a lot of writing and speaking on this topic, so please email me, my publicist or my speaker’s agency if you think I might be a good speaker for your audience. I’m also an author or co-author of a number of books and book chapters, published and in press, aimed at counselling psychologist practitioners and researchers. If you want to get into the counselling psychology field, check out How to Become a Counselling Psychologist, published by Routledge Psychology Press. For aspirant practitioner, trainees, and qualified folks, please have a look at The Handbook of Counselling Psychology (4th edition), published by SAGE. You can see the audio, video and bonus text features on the companion website. For lots of other publications, see my author website’s publications page and my writing on Medium. I’m a Chartered Psychologist and HCPC-Registered Counselling Psychologist in independent practice, so if you’re interested in seeing me for an appointment, see my practice website. When I’m not writing or seeing psychotherapy clients, I act as a visiting lecturer at multiple universities, serve as the Bereavement Lead for the Digital Legacy Association, and produce the Mortified stage show in London. I am a Senior Fellow of the Higher Education Academy and am always trying to develop creative ways of teaching. I specialise in research methods and Acceptance and Commitment Therapy.